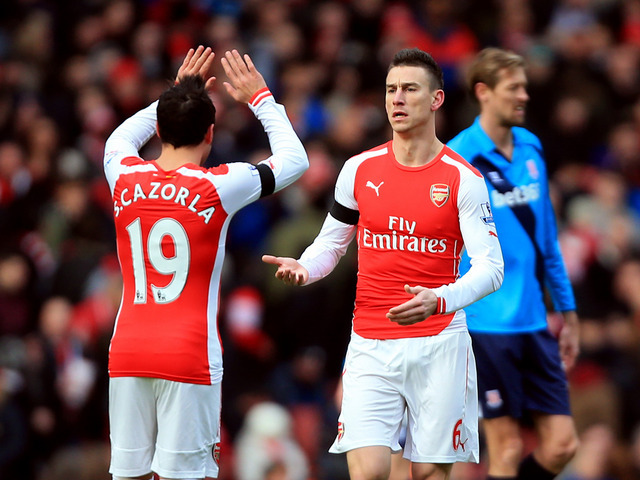 Who should be Arsenal’s Club Captain Next Season? – Not an easy one but have your vote!! Hello ladies and gents, my fellow Gooners! I am sure you’ve missed me 😉 I have been away for a while due to a broken computer. I’ve missed out on many talking points and it has hurt me a lot not being able to jubilate and rant I will not lie to you but I am back now so let me begin. I wanted to discuss our potential captaincy problem that may arise next season. Arteta is currently club captain, his future seems very uncertain at the moment. Personally I’d like him to stay, I think he’s a good player and I’m curious to see how he’d cope besides a proper holding midfielder like Coquelin rather than being forced to be one himself. I still think he’s our most trustworthy ball player from deep despite Santi Cazorla’s recent appraisal in the role. Cazorla has a good passing range but his general passing isn’t as fluent as Arteta’s. An example is how we’ve seen Mesut Ozil come a lot deeper for the ball since the turn of the year. Aaron Ramsey & Jack Wilshere are our two long term prospects for the deep-lying position but Ramsey’s ball retention skills have been incredibly inconsistent this season, especially in the bigger games and Wilshere is yet to nail down a starting role, I do think the latter will be our long term solution if a deep-lying playmaker is what we want however. Rivals for team and Captaincy? Despite all this Arsene could see Arteta as surplus if he goes out and gets another holding midfielder. Then we have Mertesacker as our vice-captain. I honestly would hate to see Per take the role full-time for various reasons. 2. I think he lacks leadership qualities. To evaluate on my first point, I don’t believe he’s good enough for a title winning defence. His severe lack of pace has always hindered us at vital stages during each of his seasons at the club. He’s steadily declining too which has surprised me given the fact he’s not reliant on physical attributes. Monaco and Reading are the most recent games where the German has been targeted therefore costly to our impact during the game. Point number two: I think his leadership skills have been exposed recently. This season defined him not only as a player but a person, for me. During our torrid start to the season, when Arsene Wenger was facing immense pressure from the supporters including myself, Mertesacker came out and said ‘it’s hard to be motivated at Arsenal’. I understand these comments came on the back of a World Cup triumph but no supposed leader should be saying this, EVER! He did have a different partner every week which never helped but rather than helping and guiding a young Calum Chambers and a shaky Nacho Monreal through this difficult phase he hid and allowed the other two to be scapegoated for being picked in a position they had no experience in. Compare this to John Terry who gave an inexperienced Kurt Zouma a helping hand when coming in for an out of form Gary Cahill. It tells you everything about a top class skipper and a weak one. After our Champions League disappointment Mertesacker revealed that ‘we’re a million miles away from winning the CL’. Again these are words that you do not want to be hearing from the man who’s supposed to be your rock at the back. I tend to cringe when I think back to when Mertesacker ducked against Stoke and Liverpool late on earlier in the campaign, described by Carragher as ‘abandoning ship’ which he certainly did. These are reasons I will never be able to accept Per becoming our full-time club captain and therefore it raises a glaring issue in the team. Other contenders would be Santi Cazorla & Laurent Koscielney I like the pair but I have doubts about their qualities in that role. Influential players – but Captain material? Santi Cazorla might be a good candidate but he’s regularly linked with moves away every summer with his own acknowledgment, there’s also a question of whether he really is the answer in the deep central position long term. Laurent Koscielny is a great player whom I adore but I think of him as the silent assassin, can he do the shouting and galvanising? I’m not so sure although he can inspire through performance but sometimes you need more, especially on days where things won’t be going our way. There are certainly some future candidates long term. Jack Wilshere – who we believe will soon become Mr. Arsenal but he really has to prove his fitness eventually and prove to be consistent. Aaron Ramsey – has all the attributes to inspire in this role but again, consistency throughout a whole season will need to be proven. 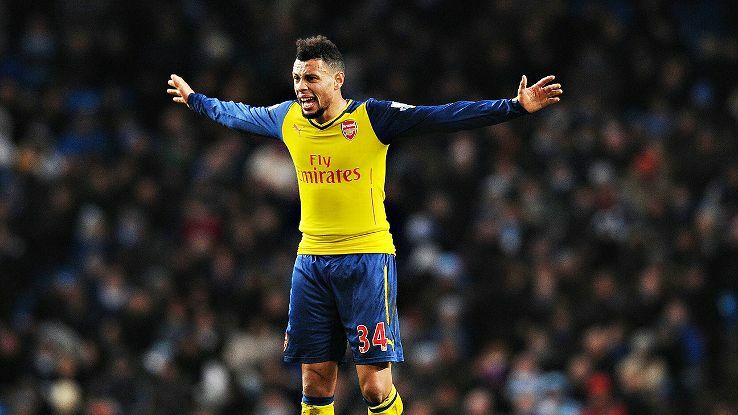 Francis Coquelin – I think he has some great qualities to take up the role. He’s stepped into the team and has been seen shouting and rallying the team during important periods (City away). He’s shown great maturity in restricting his game to help the team, as naturally he is a box-to-box midfielder but not many would know that. It would be too soon for him however and he’s a player who also will need to prove consistent over a whole season, everything says he’s capable but it is yet to be proven considering he came in half-way. Calum Chambers – maybe an outside shot but I think he’s an intelligent player who earlier on in the season showed an admirable commitment and desire. I don’t have an answer for this one as I’d think the best solution in a scenario where the first XI has improved and a new captain needs assigning would be to buy someone who fits the bill, likely to be at CB which for me is a key area to strengthen as I doubt a Gabriel + Koscielny partnership will work long term but it’s highly unlikely a newcomer would be given such a role. If I had to choose though I’d just leave it as it is for another season, keep Arteta at the club as captain, leave Mertesacker as vice and the more likely starters Santi Cazorla and Koscielny can deputise whenever the former 2 are both absent but with Arteta’s future in doubt we could have some decisions to make. Of course the Summer window may bring in a candidate??? Who do you think should be Arsenal Club Captain for the 2016/17 season? Thierry, do the Arsenal really need an entirely new spine? 10 Responses to Who should be Arsenal’s Club Captain Next Season? – Not an easy one but have your vote!! Ramsey is or was Captain of his country and that’s good enough for me. Mertersacker is the most reliable player we have. His criticism is unjustified, hes an easy scapegoat. He has made 30 appearances in the premier league this season which is 2nd most, 1st is Cazoral on 32 and Sanchez also on 30. Arsenal at game 35 have the third best defensive record in the PL behind Southampton and Chelsea and is also a passionate player, plays with his heart, you can see him trying to motivate players on the field, he is a vocal player and if they aren’t good enough leadership qualities then I don’t know what is. Southampton have had a good season, Chelsea are just freaks but to say our defense cant win us a title is a joke. I can’t agree about Merts playing with his heart mate. Been several ocassions that prove otherwise. I think chamberlain will be a perfect captain provided he stays on the pitch. obviously his English is good. he seems quite level headed and down to earth but clearly a very driven and enthusiastic player. Hes ambitious in his attacking runs as well as hardworking tracking back. For my desire I go for welshere,because he can fight and shout 4 our wright in d pith. Ramsey should be sold, not appointed captain.